So you’ve got to print some documents, you’ve got Windows 10 on your PC and can see a printer around you. But here’s the situation: You don’t know how to add the printer to your PC in order to start printing. 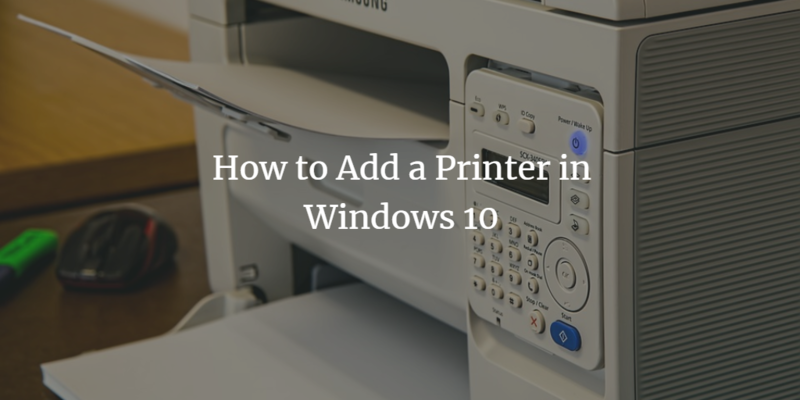 Well, you’ve landed at just the right spot because this guide will tell you how to connect your Windows 10 PC to different kinds of printers. If it’s a local printer, you can connect it to your PC using a USB cable. You can also connect to wireless printers. So let’s get you started. From the list of networks, select your own Wi-Fi network SSID. If you need help finding your Wi-Fi network SSID, simply hover over your Wi-Fi icon in the Task Bar from your PC and you’ll be shown the SSID. So you’ve learned how to add printers to your Windows 10 PC. Not only local printers, you’re now also equipped to add Wireless printers on your PC too. Once you’ve set up your printer device, you can print test pages to ensure everything is working fine. Wireless printers are generally more easy to use as you can avoid the hassle of physically connecting your computer to the printer. But remember, both the wireless printer and PC need to be in Wi-Fi range if you want to print a document.